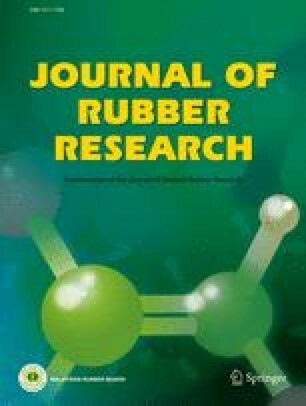 In this study, the effects of wollastonite and mica powder used at different ratios as filler in NR/SBR type elastomer based rubber were examined in terms of its mechanical properties. Natural rubber (NR/RSS3) and styrene butadiene rubber were used as main matrix material in the experiments. While adhering to the same compound, various amounts of wollastonite (FW 325) and mica powder (Mica SMW 375) were added to the carbon black (HAF N330) and six different compounds were prepared. Properties of the compounds such as tensile strength, elongation at break, abrasion, and hardness were analysed and the test results were compared to each other. In addition, SEM images of the abraded surfaces were evaluated and a brief cost analysis was realised. It is concluded that hardness, density and abrasion loss increased while elongation at break, tensile strength, fatigue resistance and unit cost decreased when the amount of wollastonite and mica powder was increased in the compounds.